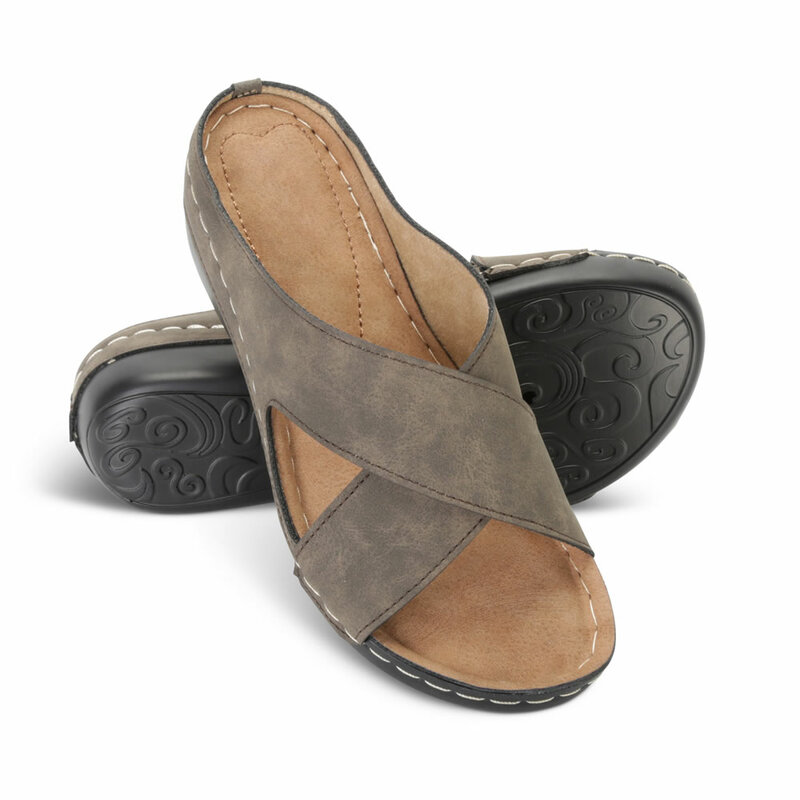 These are the lady's ultra lightweight slide sandals with a memory foam insert for all-day comfort. 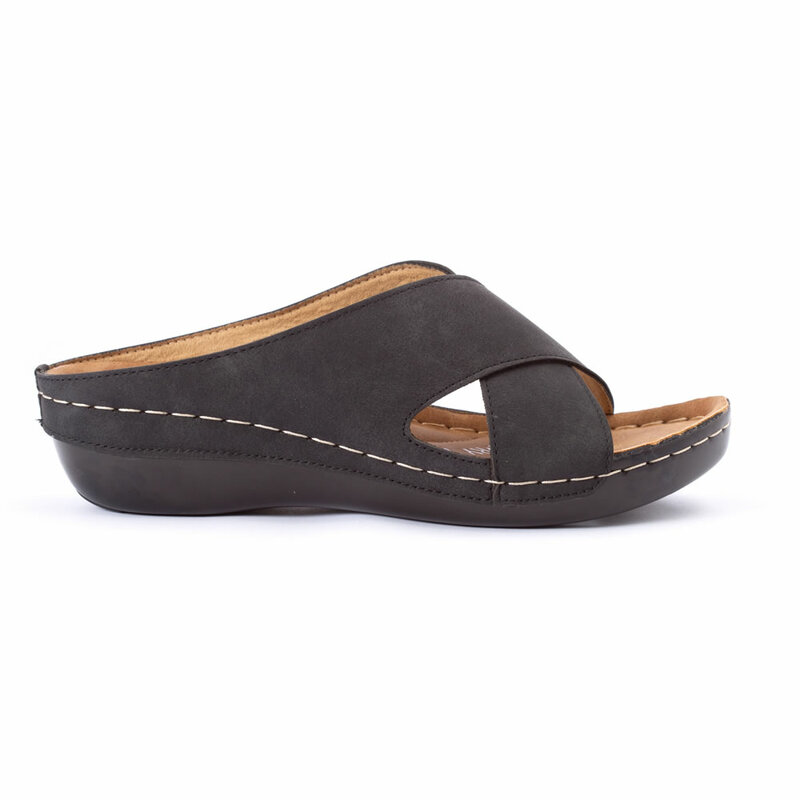 The slip-on style has an open toe with a criss-cross band and covered wedge. 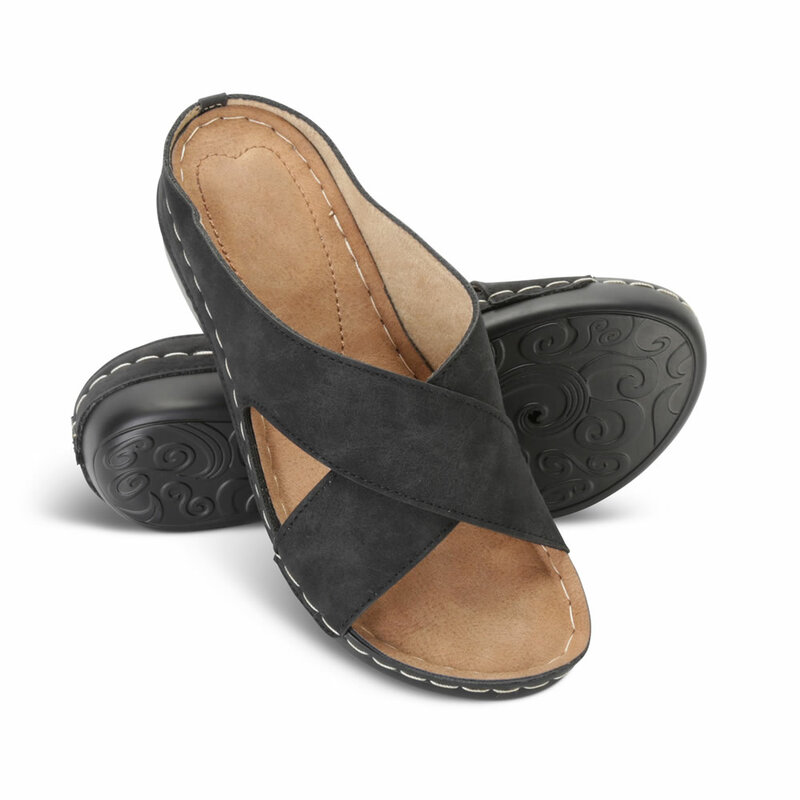 Faux leather uppers and flexible outsoles provide lightweight comfort. Heel height 1 1/2" inches. 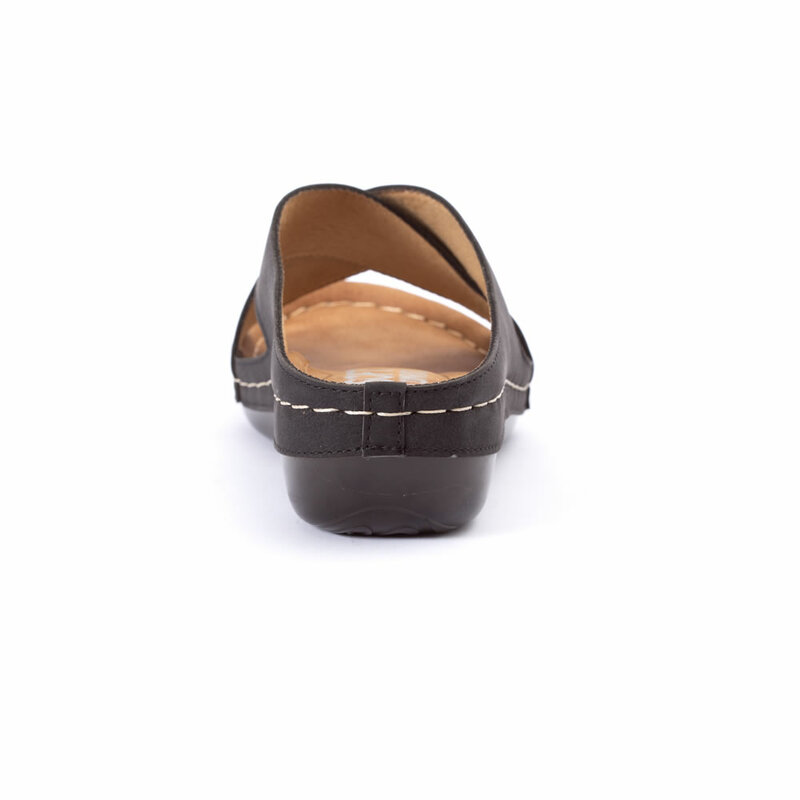 Navy, Black, or Brown. 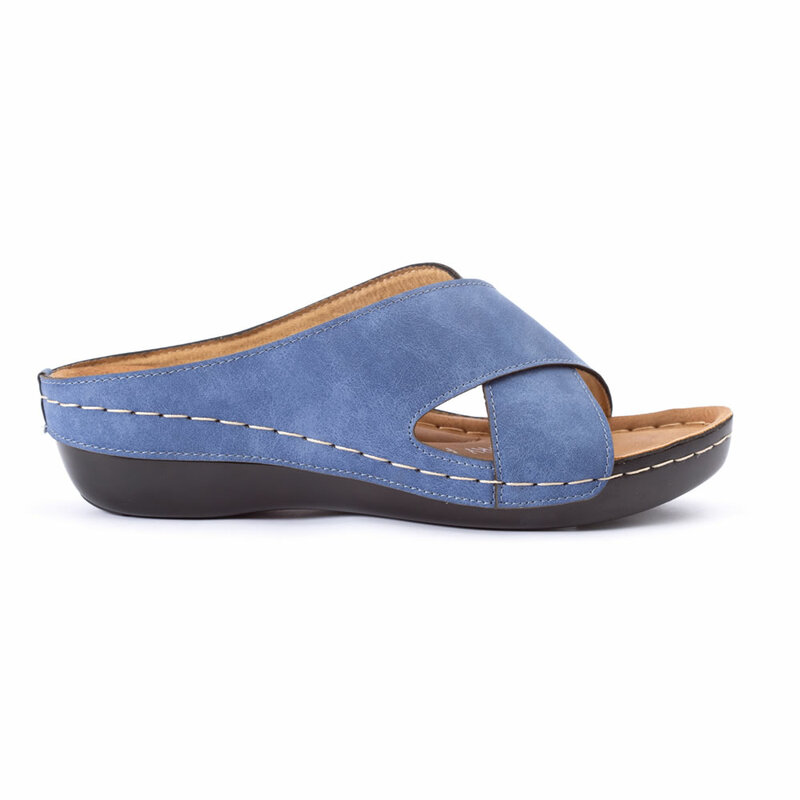 Women’s whole sizes 6-11. 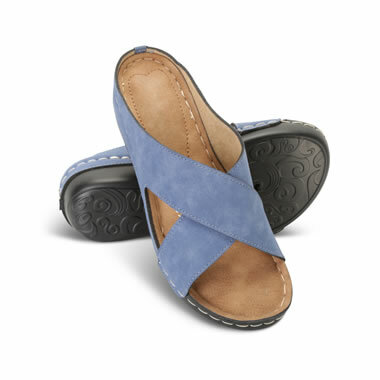 The Lady's Ultralight Slide Sandals come with The Hammacher Schlemmer Lifetime Guarantee. Items that we sell are guaranteed for their normal life under standard non-commercial use.